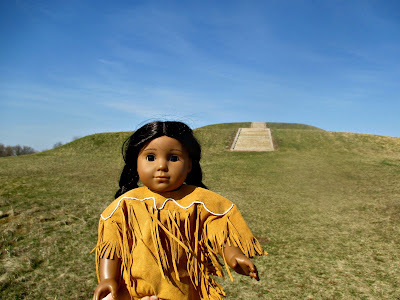 Kaya is eager to show you a new-to-her Indian mound site, Aztalan State Park. 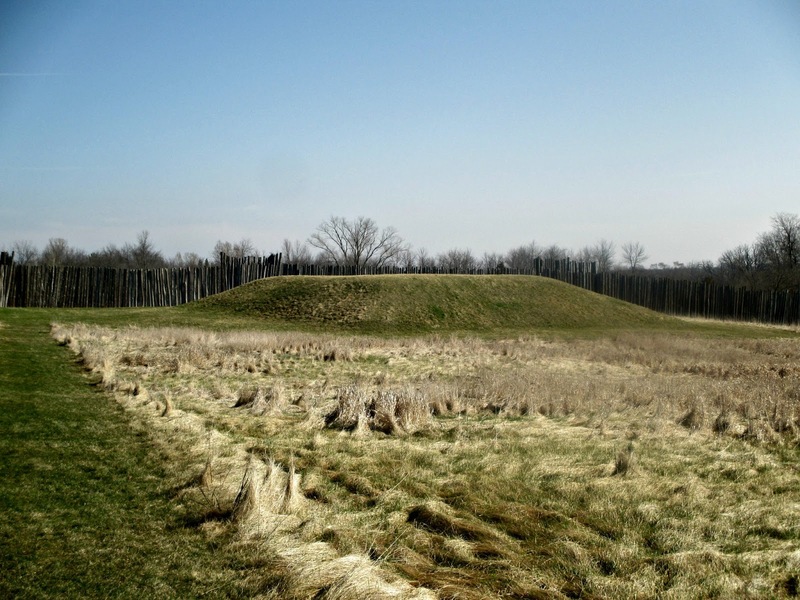 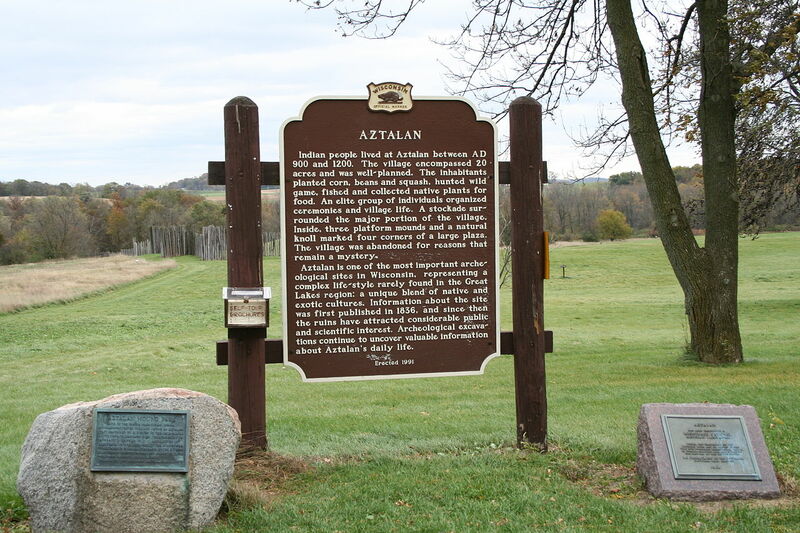 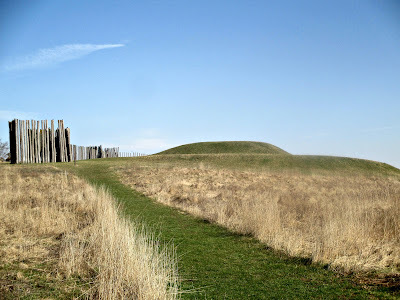 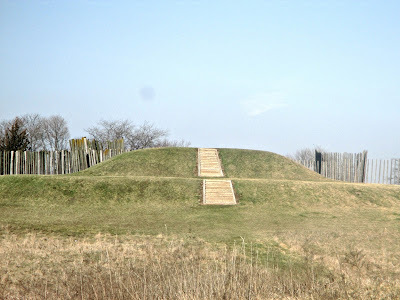 Aztalan is the biggest Indian mound site in Wisconsin, and it is the largest one north of Cahokia. I would like to stress again that these mounds were made by the Mississippian people, in a different geographical area and time period that Kaya's people. These site are still considered sacred by today's Indians, so Kaya is showing them off. 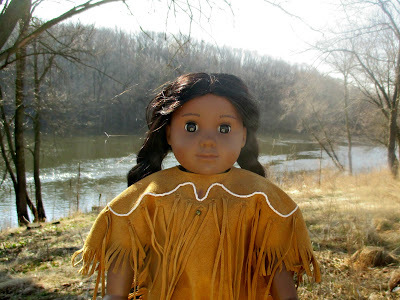 She enjoys learning about other Native people. 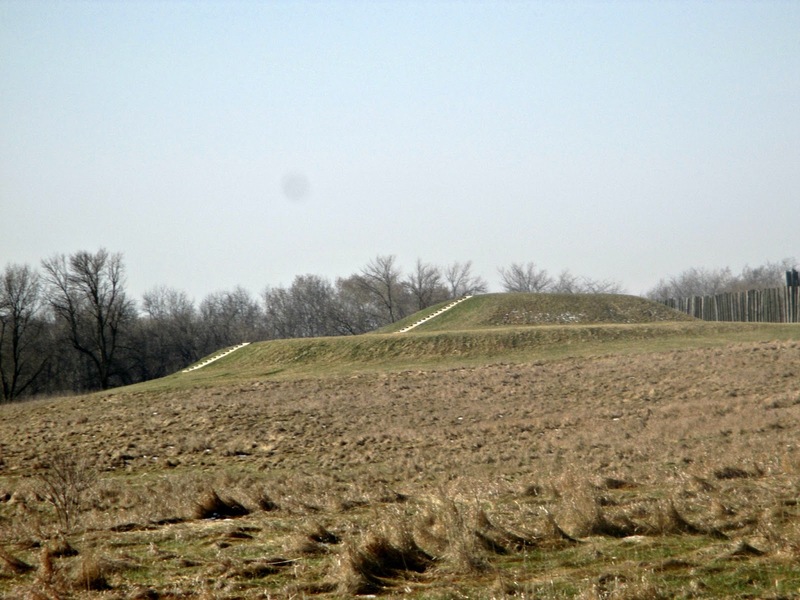 Aztalan has three platform mounds like Monk's Mound at Cahokia. 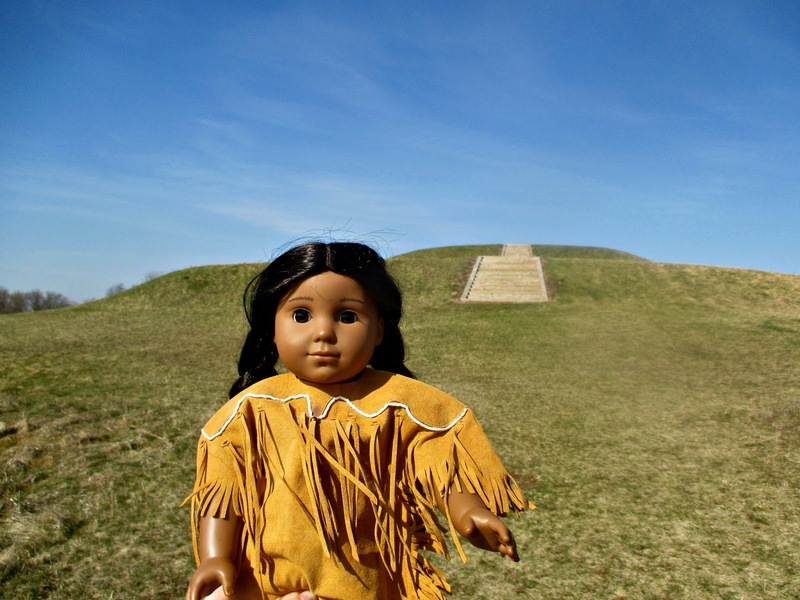 They are smaller than Monk's Mound. 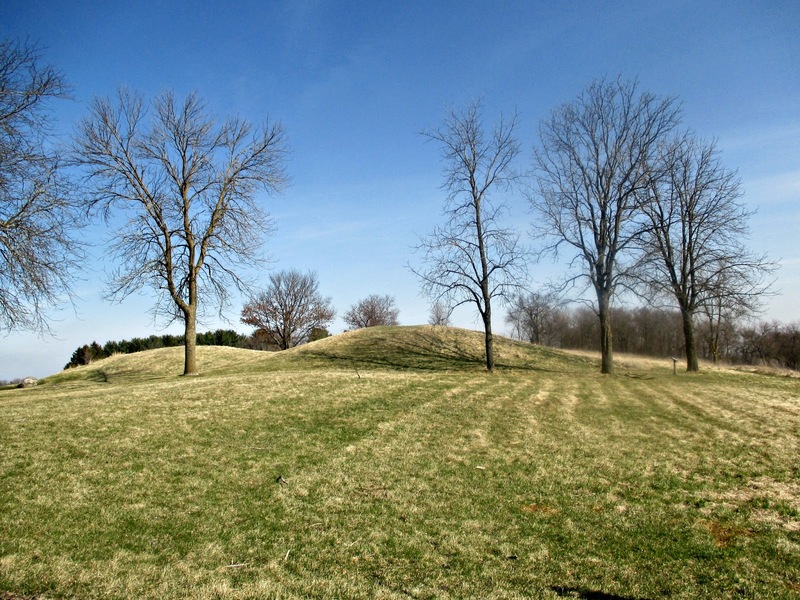 There are many more mounds; I am not sure of the total number. Aztalan also had multiple stockades, which served either religious or defensive purposes. 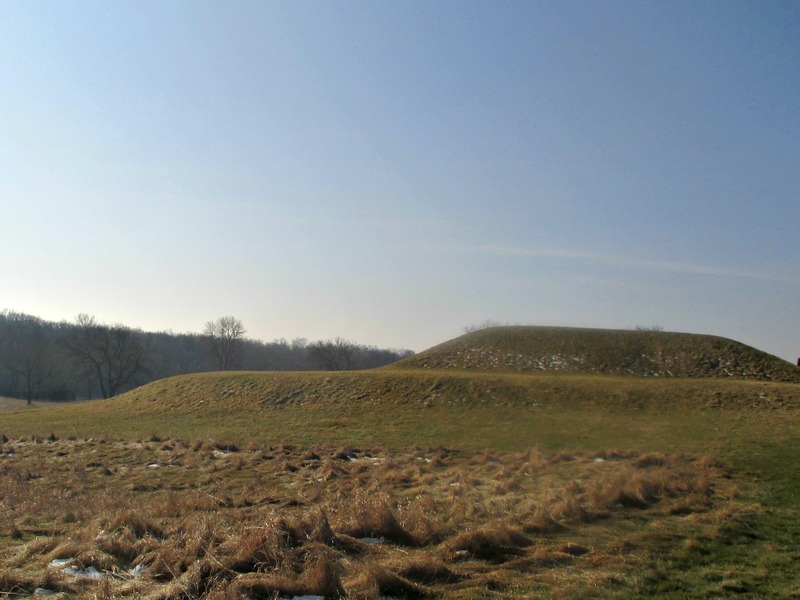 These have been recreated to give visitors a sense of what Aztalan originally looked like. I have a lot more pictures than words, because the signs from the site can explain it better than I. 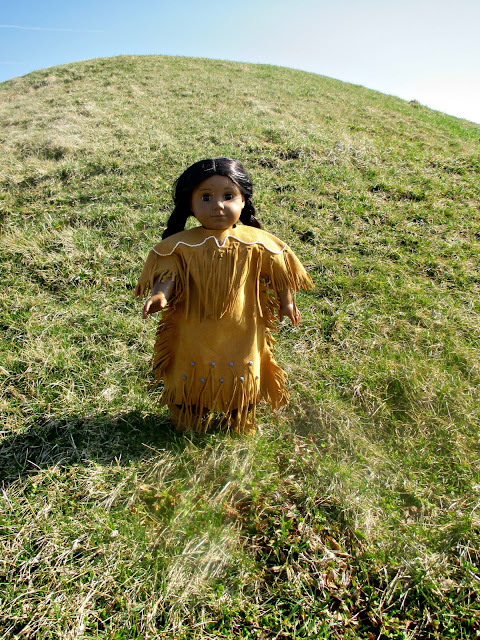 Bear with me. 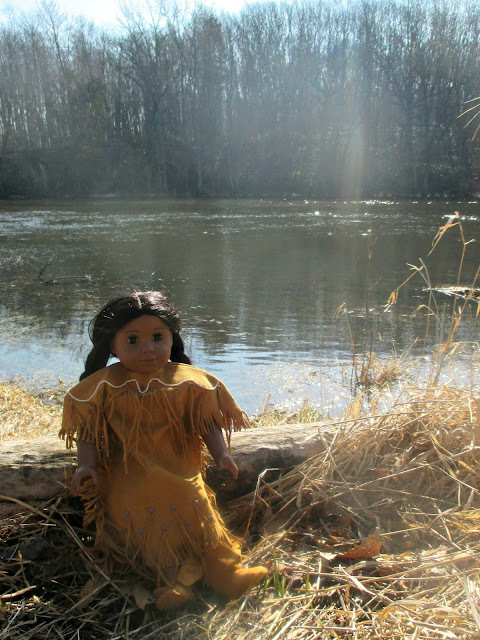 On one side of Aztalan flows the Crawfish River. This is where I felt the greatest sense of peace and felt that I was seeing the site closer to its original state. I love bodies of water. I loved Azatalan. 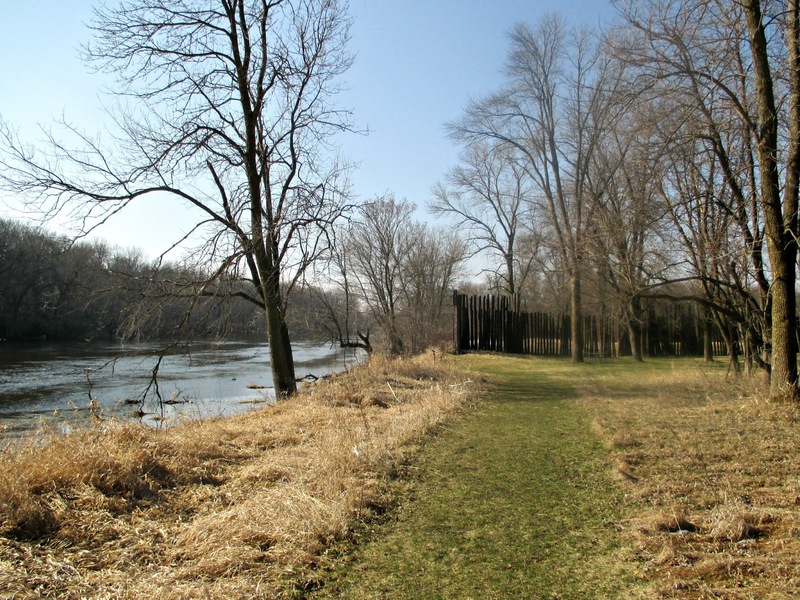 If you plan to visit, be warned, you are supposed to have a state park parking pass there. 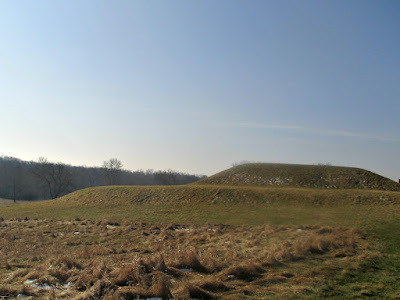 However, there were no envelopes to register for one, so I was not able to.